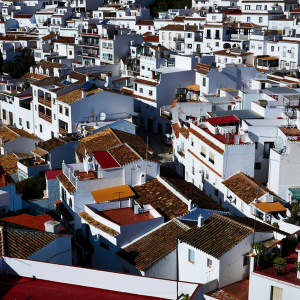 For a relatively small village, Mijas has a huge amount of places to eat. Everywhere you turn down those narrow, cobbled streets you will find bodegas, tapas bars. pizza restaurants and more. As a new visitor to Mijas it can be quite mesmerising knowing where to eat. 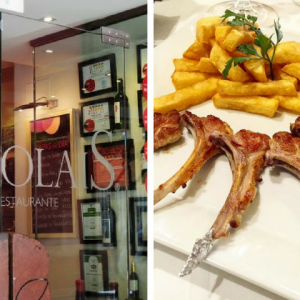 There is a real gem of a restaurant on Calle San Sebastian, just 2 minutes stroll from the main Plaza de Consitucion in Mijas that is well worth a visit. Restaurante Meguinez is the perfect place to enjoy a typically Spanish lunch or dinner time meal. The restaurant looks much like a lot of the other restaurants in the village, with a row of tables and chairs along the front of the building; perfect for people watching. There is a little square right opposite and gift shop selling traditional Spanish fayre. If you want to dine and watch the world (and the famous burro donkeys) go by, this is the place to sit. If you walk through the restaurant and bar area inside, a typical bodega-style place with dark wood and hanging hams, there is also a very pretty little garden area you can sit in at the back, covered in vines and bougainvillea. Meguinez has a sister restaurant just a few doors down, ‘Aroma Café & Secret Garden’, it’s no surprise that the two places have a similar style, but if you want real outside garden dining in the summer heat, head to Aroma as Meguinez’s garden is covered. It is, however, beautiful out there in the evening. There are numerous eateries where you can enjoy tapas in Mijas, but this place offers some of the very best. The Gambas Pil Pil – prawns in sizzling garlic and chilli, are out of this world. They are served with freshly made bread to dip into the tasty liquor. Other delicious tapas dishes include Iberian ham, a must when you’re in Andalusia; Manchego cheese and grilled ‘Padron’ green peppers sprinkled with sea salt. You may think that having paella by the sea is how it should be eaten, but you will not regret ordering it here. The mixed paella with chicken and seafood is incredible, with masses of calamari, mussels, clams and fish mixed with perfectly cooked saffron rice and peas. This takes a little while to arrive, but who cares when you can sit and drink a cold glass of beer or sangria while you wait? For our receommdations of great Spanish wines to enjoy, read about the 5 Best Wines to Enjoy on the Costa del Sol. 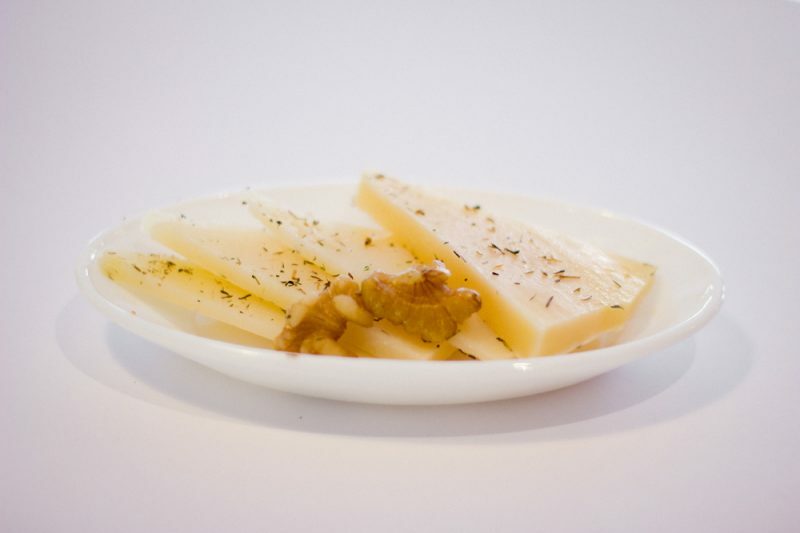 Manchego cheese is a classic tapas dish; give it a try! 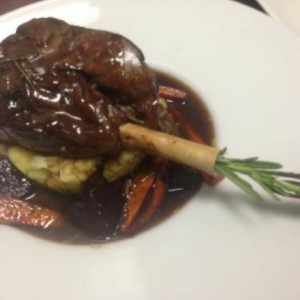 There is a large choice of meat dishes available like traditional ox tail that has been slow cooked for hours. Melt in the mouth! The Patagonian lamb leg is also something very special. If you are dining with children, they are also well catered for with pasta, fish fingers, or chicken on offer for them. Those that have a sweet tooth will not be disappointed with the range of sticky sweet deserts on offer. 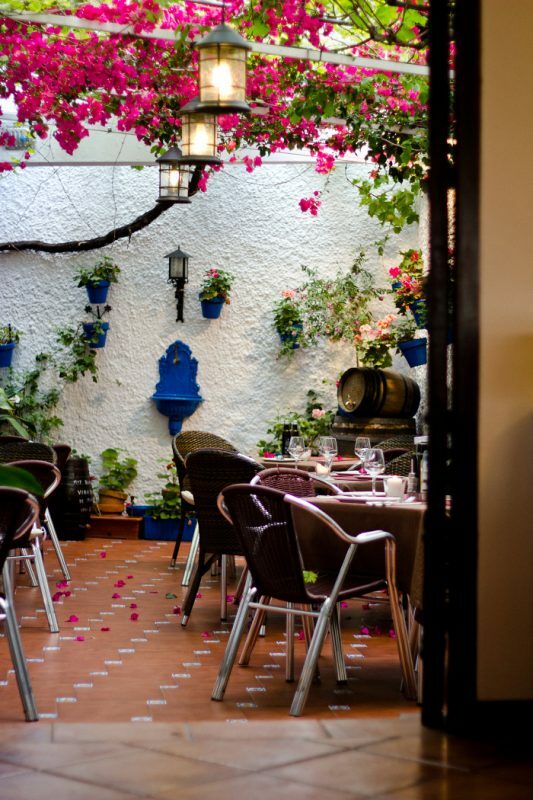 Restaurante Meguinez is a great place to enjoy well-cooked Andalusian dishes. Service is friendly, and typically relaxed. If you want to take you time over your food, and simply enjoy your surroundings, this place is well worth a visit. View our Holiday Villas in Mijas and book try this great restaurant out for yourself on your next Costa del Sol holiday.